Ministry of Culture and Tourism State Choir Turkey is the leading professional choral ensemble of the country. Since its foundation in 1988, the choir acts both as a strong symphonic choir and a refined a capella ensemble. The choir has been founded by Hikmet Şimşek and has been conducted by Walter Strauss, İnci Özdil, Ahter Destan and İbrahim Yazıcı. Since 2010, the artistic director and principal conductor is Cemi’i Can Deliorman. The choir has given more than thousands concerts in all parts of Turkey and has performed in Germany, Italy, Netherlands, Russia, Israel and South Korea. In 1989, the choir performed its debut under the direction of memorable Turkish composer Ahmed Adnan Saygun. Since then, notable performances include Harbison’s world premiere in Vatican to Pope John Paul II, Mahler 2nd in Konzerthaus Berlin, Britten’s War Requiem or Verdi Requiem with prominent symphony orchestras. 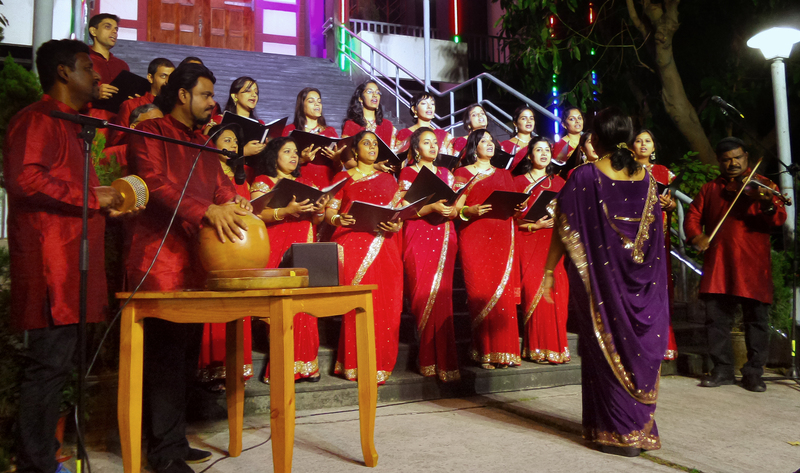 Social initiatives like ‘Stop Violence Against Women’ or the innovative ‘Sound&Light’ a capella project with visual design and electronics are also included in the choir’s portfolio. Awarded the ‘Best Choral Ensemble in Turkey’ in 2010, the choir has been entitled ‘Voices from Heaven’ by music critics in Europe. The core repertoire consists of major symphonic works and a capella choral music. The choir has recorded many albums until now, including Carmina Burana by Carl Orff, Requiem by Mozart, Yunus Emre Oratorio by Ahmed Adnan Saygun, Nazım Oratorio by Fazıl Say, Kurtuluş Soundtrack by Muammer Sun, and two albums of Turkish folk songs by Ahmed Adnan Saygun and Muammer Sun. 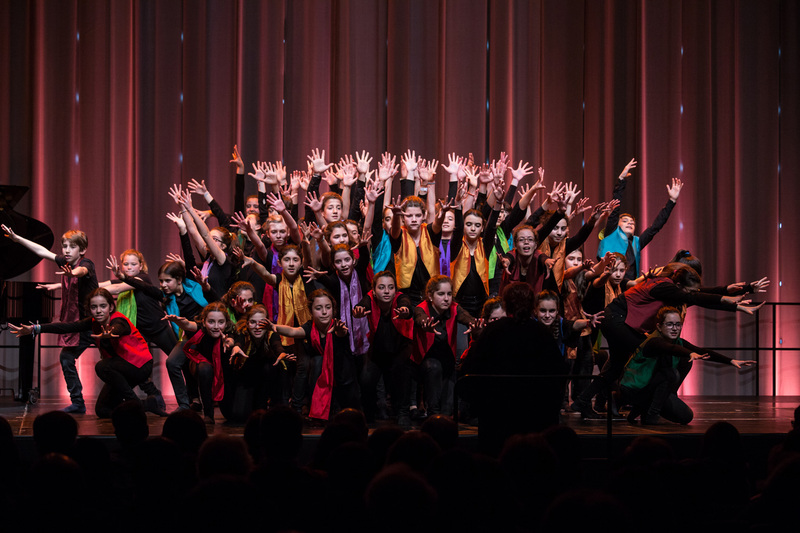 Apart from its season concerts, the choir regularly reaches out to schools for educational projects, aiming to share music of highest quality with students and children. The Children’s Choir of the University of Lisbon (CIUL) made its first public presentation in June of 2005, in the Aula Magna of the Reitoria of the University of Lisbon. Since its foundation, the group has been developing a new language in which singing is intertwined with corporal and theatrical expression. This language is seen as an important feature, with visible repercussions on the working strategies with other similar groups. CIUL has performed in more than 100 concerts at home and abroad, including the Passion according to St. Matthew by J. S. Bach, at the Grand Auditorium of Belém Cultural Center (CCB), conducted by Enrico Onofre (2009); a participation in the Cantata Jeanne d'Arc au Bucher of A. Honneger, at Calouste Gulbenkian Foundation (FCG), conducted by Simone Young (2010); a concert with the Tapiola Choir from Finland, in CCB (2010); two concerts under the title Musical Union, by invitation of the European Parliament in Brussels (2011); the first performances of the opera Menina Gotinha de Água by Miguel Azguime (2011); a participation in one of the most prestigious youth choirs festivals in the world, in Basel, after being selected by an international jury (2012); several concerts by invitation of the Canadian choir Shallaway, in Lisbon Cathedral (2013), and the Palau Juveníl Choir in Barcelona (2014); and the Passion according to St. Matthew, in the Grand Auditorium of FCG conducted by Michel Corboz (2014). CIUL participated in the film recording of Desassossego by the director João Botelho, in 2010, and recorded the choral work a cappela by Fernando Lopes-Graça, within an album released in Christmas of 2012, by invitation of Lisboa Cantat Association. CIUL performed its first international tour in 2010 (Zurich, Strasbourg and Basel), followed by another tour to Belgium and Holland (Amsterdam) in 2013. In 2013, as well, the group participated in the International Summer Choral Fest Competition in Lisbon and won the Gold Medal (level III). It has performed several pieces, especially written for the group by the Portuguese composers Eurico Carrapatoso e Daniel Schwetz and ordered by Miso Music Portugal. CIUL also performed the the International Composition Competition Lopes-Graça’s Prize winning work, by Alfredo Teixeira. 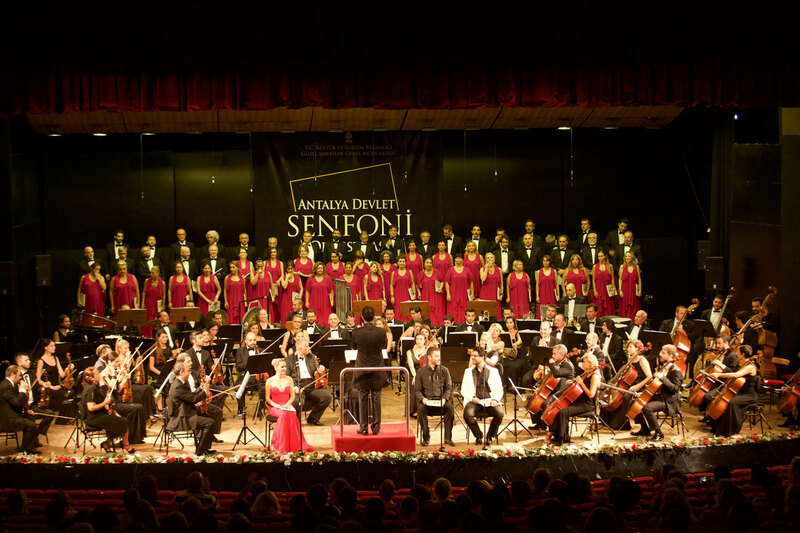 In January of 2014, CIUL held a concert in the Palace of Belém and another one in the Palace of São Vicente de Fora. In 2015, the group toured the Azores and performed in the main rooms of Terceira, Pico, São Jorge and Faial islands. In 2016, the group, by invitation of the Calouste Gulbenkian Foundation, participated in the live soundtrack of The Lord of the Rings – The Fellowship of the Ring and also in The Lord of the Rings: The Two Towers in the Grand Auditorium. CIUL also takes part in the European Voix d'Enfants / Espace Scenique Cooperation Project, which integrates the Creative Europe Program of the European Union. The first tour within this Project took place in May of 2016 in Vesoul (France) and the group is now preparing its second tour to Turin (Italy), in May of 2017. In January of 2017, CIUL participated in the Opera Carmen of Bizet, invited, once again, by Calouste Gulbenkian Foundation. CIUL has an eclectic repertoire, spanning from composers such as Purcell, Bach, Haydn, Mozart, Cherubini, Rossini to Britten and Lopes-Graça among many others, with special emphasis on ethnic and contemporary music. Lalitha Vaidyanathan, veteran musician and orchestra conductor in Singapore, envisaged a separate route for small groups of musicians in following different paths in music making and presentation. LalitAnjali, formed in March 2015, encompasses this vision in its motto 'Music for All'. With her wealth of experience of over 30 years in managing and conducting the Singapore Indian Orchestra and Choir (SIOC) of the People’s Association as well as an extensive network of artistes and patrons, Lalitha got together some of the finest musicians from SIOC and other musical establishments in Singapore to form LalitAnjali. Together with Instructor/Assistant Conductor Vickneswari Vadivalagan, Mrs Lalitha will lead the choir in its performances in the Festival Coros de Verão in Lisbon.